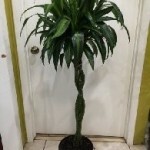 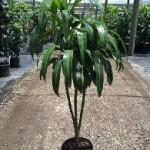 Dracaena’s are grown for their dramatic style and ease of care. 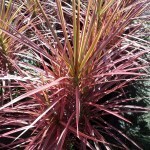 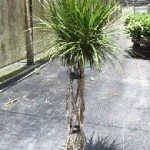 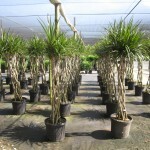 With about 40 species to choose from, Dracaenas can enhance any home, office or landscape. 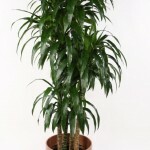 A versatile plant that is forgiving to a missed watering, the dracaena can grow to over 6 feet in height. 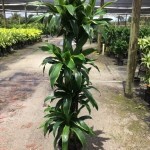 Dracaena plants like locations with bright to moderate, indirect sunlight and temperatures between 65 and 75 degrees Fahrenheit. 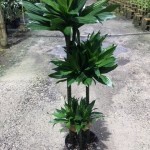 Dracaena fragrans, which is the familiar Corn Plant and Dracaena marginata, commonly known as the rainbow plant, are two of the more familiar Dracaena species. 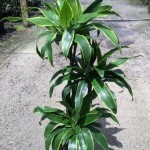 Dracaena reflexa, commonly called the Song of India is a variegated Dracaena variety that offers a nice addition to a home or office. 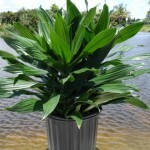 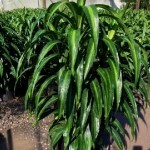 The Dracaena Warneckii makes the list as one of the “best house plants” with its colorful leaves and easy care.